I can't resist painting old Volkswagen vans. 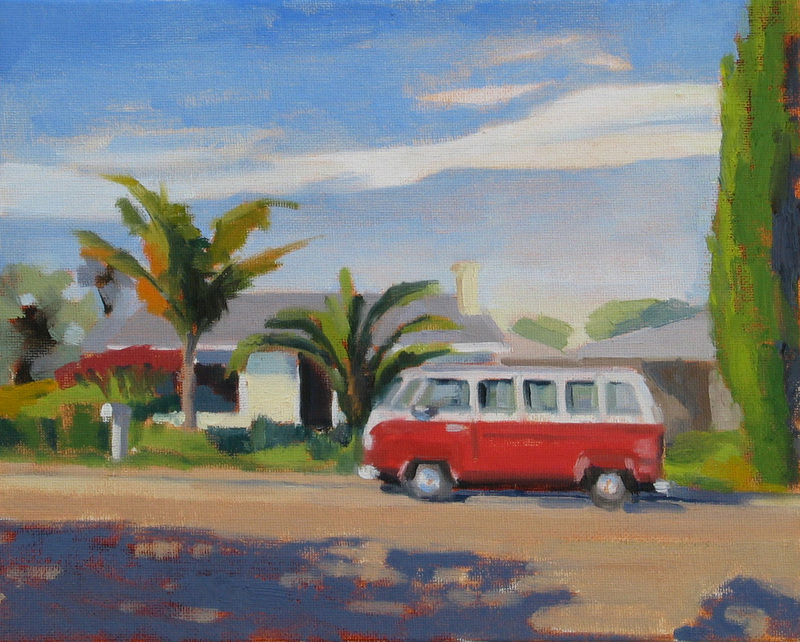 I ride my bike past this little yellow house and red van on the weekends on my way to Capitola. It's at the corner of Opal Cliff Drive and Court Drive in Santa Cruz. They had this old red van which I really liked, but recently they got a newer red van. Luckily I got a photo with the old van on a day with wispy cloud formations in the sky. 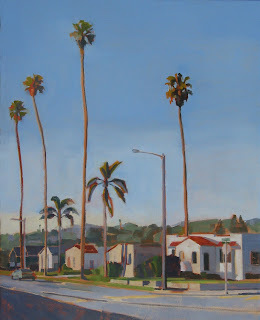 The painting in this view is from the corner of Poli Street and North Catalina Street. 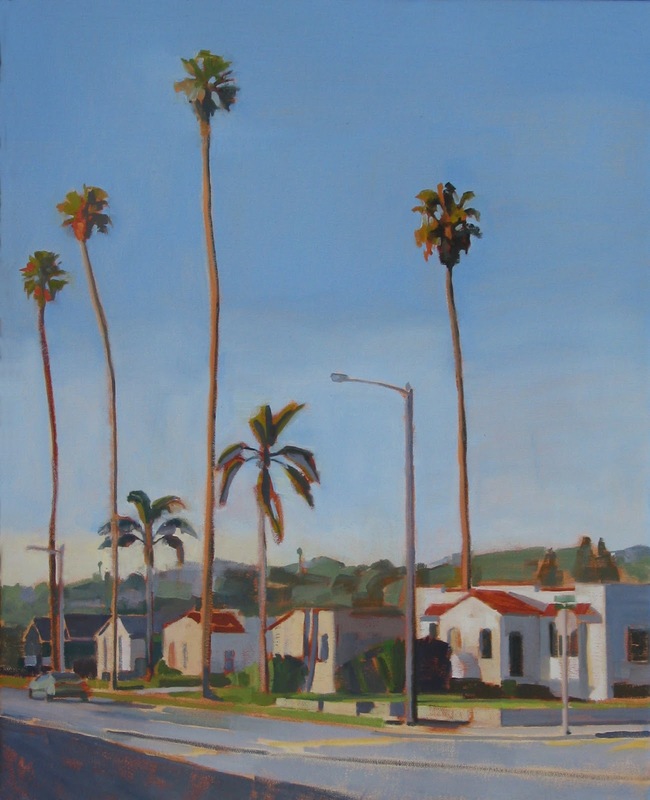 The street is lined with old Mexican fan palms, queen palms and 1920s Spanish style houses. Ventura High School, which was directly behind me, casts a big shadow in the foreground. The Chill Out Cafe is on 41st Avenue in Santa Cruz. It's a charming Santa Cruz hangout, full of locals eating breakfast burritos. 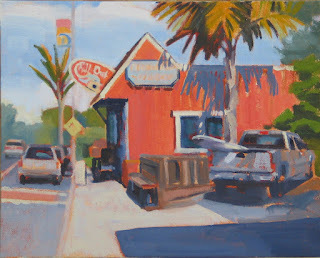 I've wanted to paint the building for a while because of the barn red color and it's popularity among surfers. 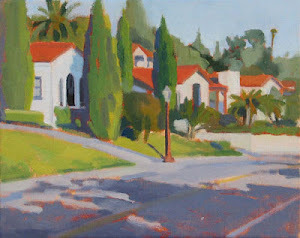 In March, Chris Beirne and I painted together in Southern California. I asked Chris to find a place to paint with big cliffs, along the ocean. Chris picked Hendry's Beach in Santa Barbara and suggested that we paint at sunset. 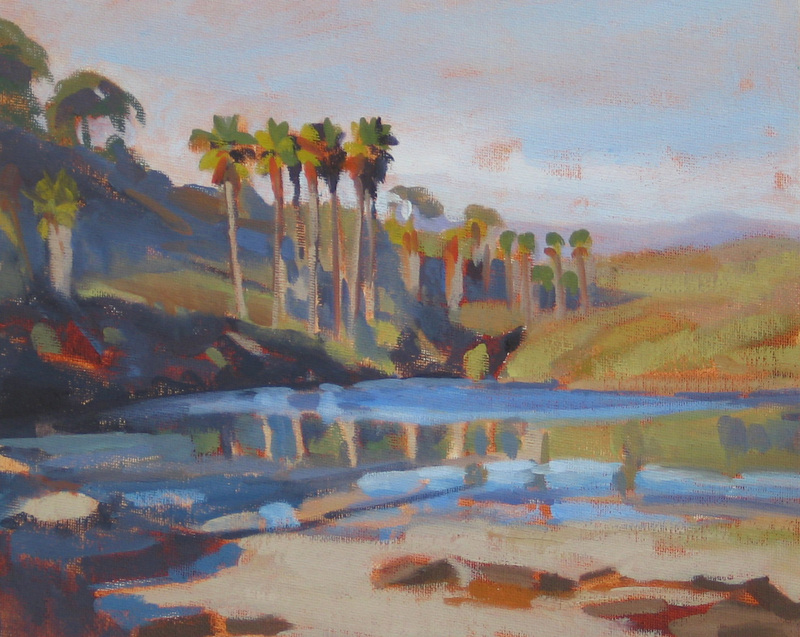 It was unusally warm and sunny, which meant the beach was packed with people, not the best situation for plein air painting.